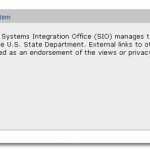 SharePoint Inline editing in a dataview web part. 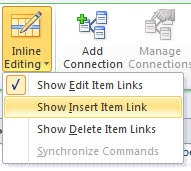 When you create a list view dataview web part in SharePoint 2010 you have the option of enabling inline editing. 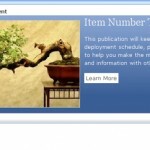 Once enabled users can edit and create list items without leaving the page. This is nice but by default SharePoint Designer does not style the interface the same way as it is when done in a standard list view. See the example below. This is not difficult to fix, here is how I did it. Now this interface may look fine to you but I wanted it to look more like the standard interface. 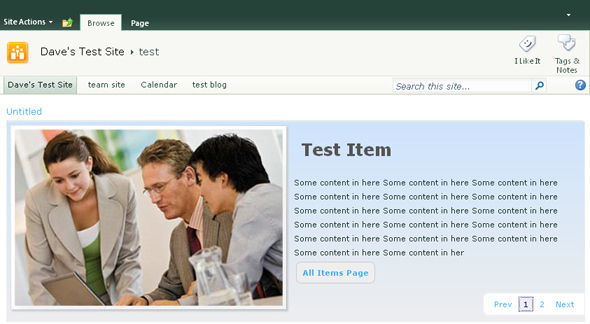 To get it looking better requires adding some code to the data view using SharePoint desiger. To do this I open the page in SPD and put it in split view. 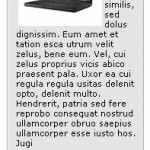 Then click where it says ‘edit’ in the design vew portion of the page. This will help you find the portion of the code that needs to be modified. Each of the links for editing, saving and cancelling is made up of code like this. We just need to change the code to display an icon instead of just text. In the code above you will notice there are mutiple instances of the save and cancel links so make sure you update all of them. Replace with this code. What we have changed is replacing the ‘edit’ text with an image from the 14 hive. Remeber to include an alt attribute on the image and also add border=0 so the image does not show a border. The cancel button is a bit different because it uses a sprite for its image, no not the soft drink. You can learn more about sprites here. Here is the result, the icons are stacked because the data view code includes a table cell around each one.